Rosebud tea, the name itself conjures up thoughts of beauty and serenity. This infusion of Rosebud and rose petal tea has been prescribed as part of Chinese medicine for more than 5,000 years. Many benefits are recorded, including easing depression, soothes the nerves, benefits circulation and reduces indigestion. These claims have not been substantiated by main research. Rosebud tea is considered a miracle herbal particularly for women. Often called, “the lady’s tea”, rosebud tea has remarkable health benefits for women. Roses provide an excellent natural treatment for PMS and menstrual cramps. It reduces breast tenderness and even balances endocrine disorders. 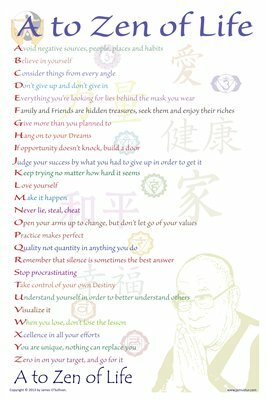 It stabilises emotional ups and downs and balancing the mind. Rosebuds, rose hips from the stem of the plant and rose petals have high levels of vitamin C in raw form, according to a report filed with the Food and Drug Administration. When you acquire yours be sure to check the vitamin C levels as it can be reduced through some processes. Vitamin C boosts the immune system, promotes healthy skin and bones and helps the body absorb iron. Rosebud tea is high in other antioxidants called catechin polyphenols, particularly epigallocatechin gallate, known as EGCG. 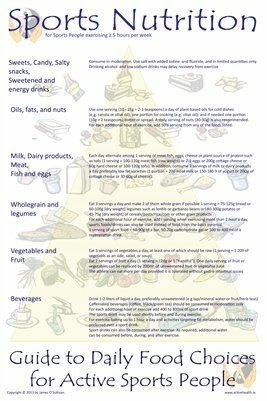 Antioxidants are molecules that help protect our body from free-radical damage, which can cause cancer. EGCG has also be shown to kill cancer cells without harming healthy cells surrounding them. Rosebud tea contains natural caffeine. In the ChoiTime.com, we see that there is less caffeine in rose tea compared to coffee. One 8 oz. serving of rose tea contains anywhere from 30 to 60mg of caffeine, while a traditional cup of coffee contains more than 100mg of caffeine. According to Medline Plus, caffeine gives a boost of energy while stimulating the central nervous system. It also boosts the body’s metabolism. Rosebud tea allows a more radiant complexion. A cup of rosebud tea a day can help reduce aging and keep you beautiful for years. Roses have beautifying benefits for the skin, they help remove dark spots and increase pore stability, which means less clogging and PH level issues. An overly acidic epidermal PH causes breakouts, rosebud tea improves oily skin conditions for better looking skin. Putting some rosebuds into your home steam regime leaves your skin kissable soft, toned and glowing while relieving any signs of skin stress. Just drop a hand full of dry rose buds into a bowl of hot water. Cover face over bowl with a towel for 10 minutes. After you’ve steamed, dip a cotton ball into the bowl and use the toner liquid to removing impurities. Use 2 Tablespoons of organic dried rosebuds. Add boiling water and seep for 20 minutes – the longer the steep, the more beneficial the effects of the tea. Flavour with organic raw honey and enjoy. Rosebud tea has a very sweet, floral and tranquil aroma and fragrance that still fills the room even hours after brewing. This calming tea is an wonderful refresher to elevate your day! 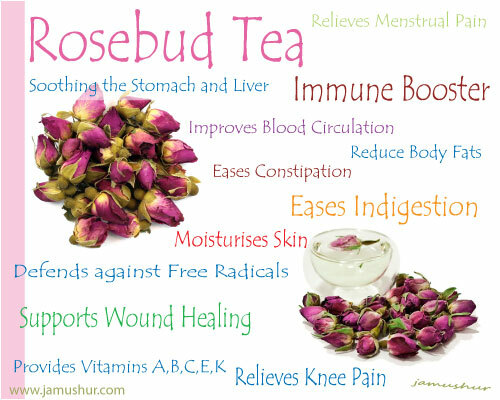 Don’t forget that you can also use rosebud tea as part of your bath or shower. Just make tea as above and soak your loofah sponge or flannel and rub in to enjoy a calming bath time. Promotes the movement of Qi and relieves constraint – liver-stomach disharmony with pain and distention in the flanks and epigastrium, belching, poor appetite. Promotes the movement of Qi, harmonizes the Blood, disperses stasis – irregular menses, breast tenderness (PMS), menstrual pain; stasis from trauma. Treats stifling sensation in chest, belching, poor appetite and pain and distension in the flanks and epigastrium. Mei Gui Hua is commonly viewed as one of the best and most effective Qi herbs and also one of the most docile. This entry was posted in Herbs, Nutrition on by smiling.